The Standing Stone: Carrowreagh, Barrows, Co. Laois. Location – On the S side of Arderin mountain in the Slieve Bloom Mountains. The barrows are accessed off a track leading from the road. Description and History – I had been meaning to come here for so long as I had seen everything else in the area and had never made it up to here. I failed to see them on my first trip because as I was walking up the pathway I looked up to see a bull about 20m further up the path so I decided not to go on. The second time, he was nowhere to be seen and I saw the two barrows and nearby ringfort. 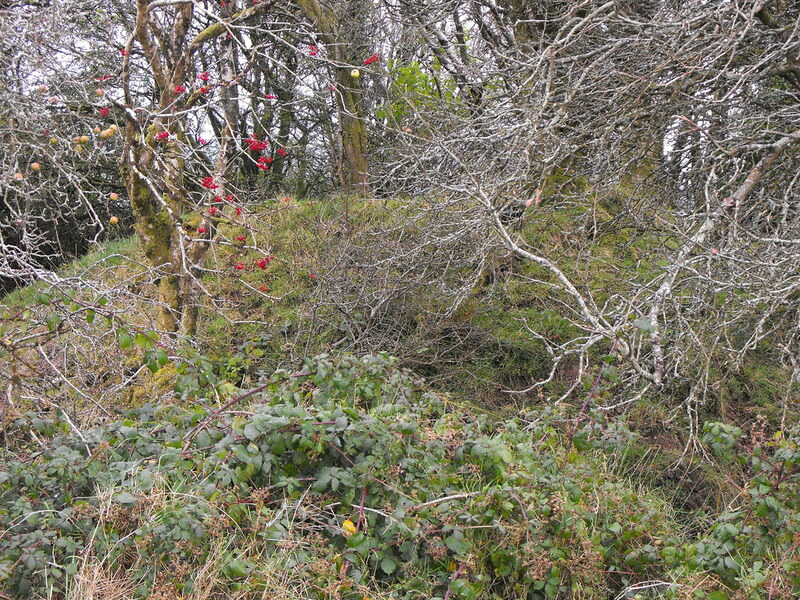 The first barrow is a simple ring barrow that is so overgrown that I wasn’t very certain that I was in the right place. I found traces of the ditch so I am pretty sure now that it was the barrow. According to the Archaeological Inventory for County Laois the barrow is c10m wide and the fosse is partially filled in. It stands to a maximum height of 1.35m. The second barrow is a bowl barrow and is very impressive. It stands 3m high and is nearly 6m wide. The fosse is 3.5m wide and 1.6 in depth. Trees have grown in the fosse but can be easily traversed. It created a nice atmosphere this barrow and have helped to keep cattle out. It has survived well and its size suggests to me that there may be something inside this mound worth seeing. However, the barrow is nice as it is so it should probably be left alone. 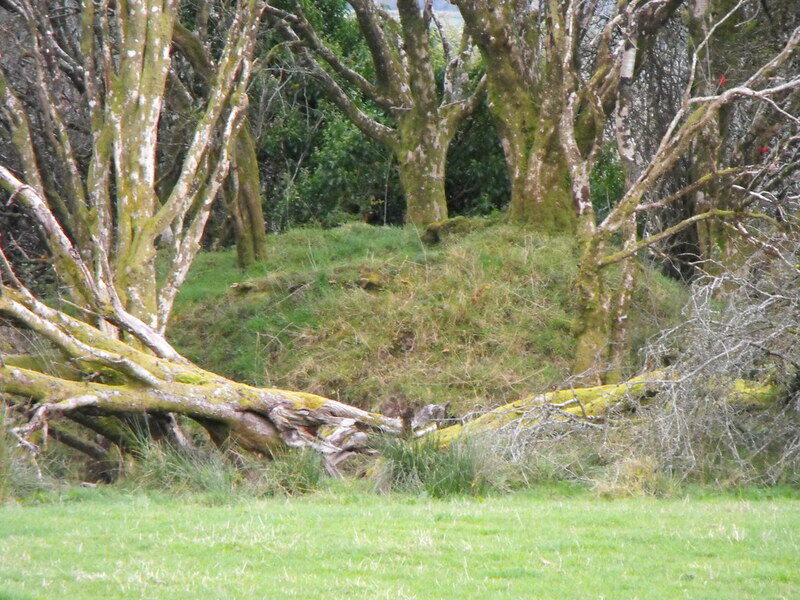 I was told by a local man that a king is buried in one of these barrows and that he lived in the nearby ringfort. 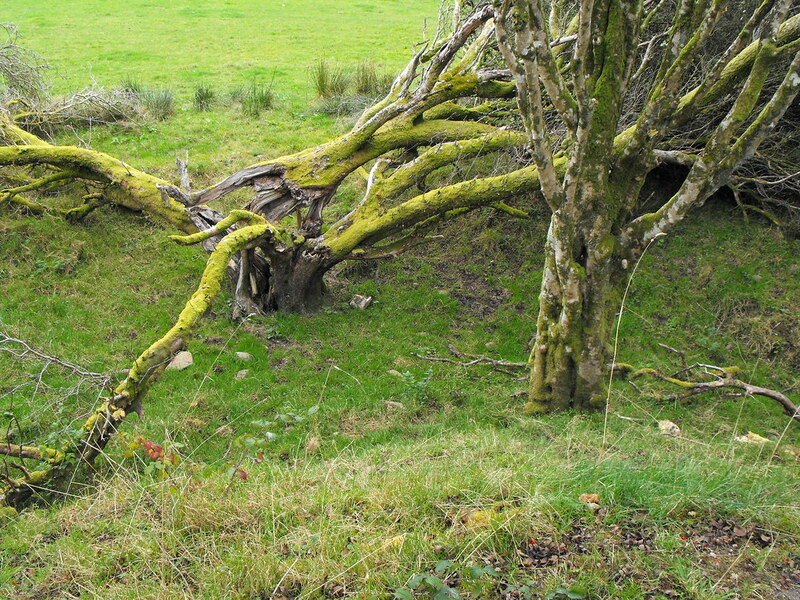 Difficulty – It’s a bit of a walk up to these barrows and it is definitely worth it for the second barrow. Watch out for cattle. The nearby ringfort is signposted so you do have the right to go up there but keep an eye out. Yes there is a barrow under here, believe it or not. 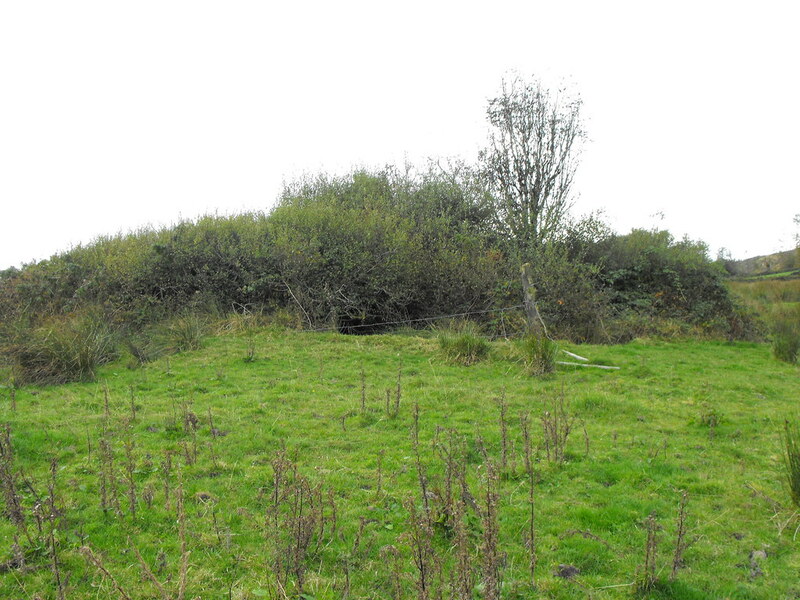 Although very overgrown this bowl-barrow is still impressive. You can just make out the top of the barrow through the trees. Looking down into the ditch from the top of the barrow.